There are an awful lot of beaches in Australia and most of them are deserted. Australia boasts some of the best beaches on the planet and the huge coastline stretches for nearly 37,000 km, which includes 11,011 beaches, more than any other nation. 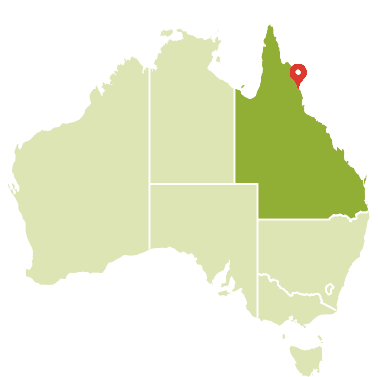 Most of Australia’s cities and towns are situated on the coast, within a few kilometers of the ocean, which amounts to 12 million people, or 85% of Australia’s population living within one hour’s drive of the coastline. 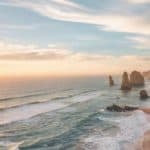 I have listed the best beaches of Australia by location and you can also click here to visit the top beaches of Australia. Enjoy Darwin’s balmy weather and eclectic food and culture at outdoor festivals, waterfront restaurants, tropical park lands and art precincts. Get a taste of Darwin at Mindil Beach Markets, sail Darwin Harbour and trace the region’s dramatic history at museums. 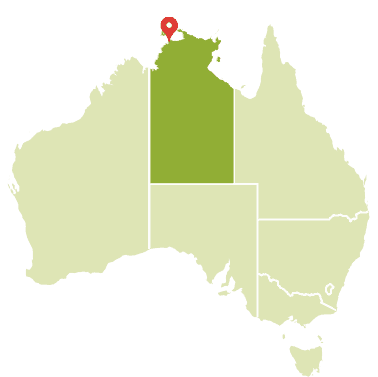 Darwin is gateway to Litchfield National Park, the Tiwi Islands, Kakadu and Arnhem Land as well as cross-continent journeys like the Ghan, Explorers Highway and Savannah Way. Enjoy the warm relaxed streets of Darwin, find action on the waterfront, eat at the night markets and explore galleries that depict the city’s history. Click here for the best beaches in Darwin. To start planning your Darwin beach vacation, << Click Here >> for our Darwin Australia Vacations guide. The gateway to Queensland’s tropical north, Cairns is a stylish city, which is also renowned for its relaxed, tropical climate and laid back ambience. Leap from Cairns into the WorldHeritage wonders of the Great Barrier Reef and the Daintree Rainforest. Relax in the resorts of Port Douglas and Mission Beach or on Lizard Island. Take the old railway to Kuranda, or follow the Great Tropical Drive to white water rivers and the Atherton Tablelands. 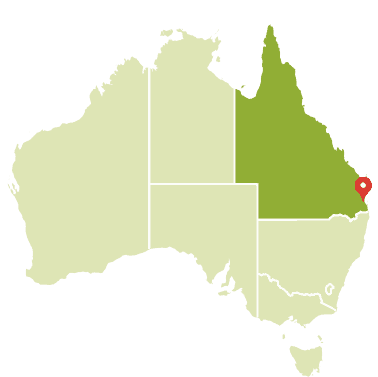 Head north to Cape Tribulation or take the Savannah Way for an outback journey. Explore the foreshore promenade and shop at local markets, eat tropical fruits and seafood in this gateway to the Great Barrier Reef and Daintree Rainforest. Click here for the best beaches in Cairns. 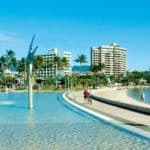 To start planning your Cairns beach vacation, << Click Here >> for our Cairns Australia Vacations guide. Discover Brisbane, the sunny, sophisticated capital city of Queensland and gateway to its many famous attractions. Combine art and outdoor adventure in Brisbane, where South Bank’s cultural institutions and restaurants meet riverside gardens and a lagoon. Take a paddle steamer or ferry down the Brisbane River, abseil Kangaroo Point cliffs and bike ride through the City Botanic Gardens. 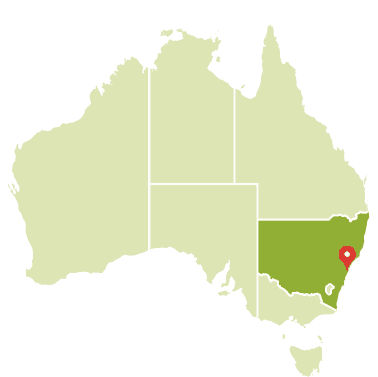 Day trip to Moreton Island or add Noosa, the Sunshine Coast and the Gold Coast hinterland to your itinerary. Wander the riverside to Southbank, have an adventure on the Brisbane River, enjoy the arts and explore Moreton Bay. Click here for the best beaches in Brisbane. To start planning your Brisbane beach vacation, << Click Here >> for our Brisbane Australia Vacations guide. 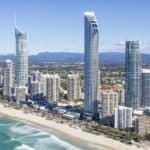 Australia’s Gold Coast is a modern city of glittering high-rise buildings, built around superb beaches, including the world renowned ‘Surfers Paradise’. Fast-track fun on the Gold Coast, where the high-rises are built around superb surf beaches like Surfers Paradise. Dive into lively nightlife, international theme parks and designer boutiques, see the coast from a Spitfire plane and cheer on competitors in the Coollangatta Ocean Swim. Experience the opulent Palazzo Versace or head to the hinterland for rainforest walks and spa retreats. Discover a city experience while enjoying the beach. Surf, dive or snorkel, explore national parks and the thrills of the many theme parks. Click here for the best beaches in Gold Coast. 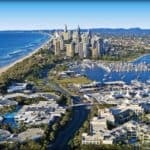 To start planning your Gold Coast beach vacation, << Click Here >> for our Gold Coast Australia Travel guide. Discover Sydney, Australia’s famous harbor city and capital of New South Wales. Plan your Sydney vacation with beautiful sundrenched beaches and much more. Experience Sydney’s natural beauty and culture around Sydney Harbor and the historic Rocks. Explore famous coastal beaches such as Bondi, Bronte, Coogee and Palm Beach. Bushwalk through Sydney Harbor National Park, dine at world-class restaurants, visit the Blue Mountains. Join Sydney’s vibrant events – from Mardi Gras to the New Years Eve Fireworks. Explore Sydney’s sparkling harbor, outdoor lifestyle and great natural beauty. Enjoy this fast paced city that knows how to celebrate, live it up and relax. Click here for the best beaches in Sydney. 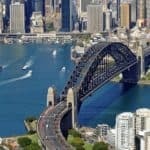 To start planning your Sydney beach vacation, << Click Here >> for our Sydney Australia Vacations guide. Find all you need to know about Melbourne in Australia, the capital of Victoria and a vibrant hub of style, sport, culture and dining. Discover Melbourne’s secret laneways and rooftops, the cultural hub of FederationSquare, buzzing bars, boutiques and eateries, and the iconic MCG. Experience St Kilda, the Royal Botanic Gardens, bohemian Brunswick Street and the nation-stopping excitement of the Spring Racing Carnival. Join world class events such as the Australian Grand Prix. Day trip to the Mornington Peninsula or to Phillip Island for fairy penguins. Discover Melbourne’s wide streets and hidden laneways, galleries and parklands, eclectic precincts and a dynamic food and wine scene. Click here for the best beaches in Melbourne. To start planning your Melbourne beach vacation, << Click Here >> for our Melbourne Australia Vacations guide. Discover Adelaide, South Australia’s elegant and cultured capital. Soak up Adelaide’s colonial elegance in the spacious green parklands, bustling Adelaide Central Markets and the museums and libraries of North Terrace. Swim with dolphins in Glenelg, explore Hahndorf and other picturesque villages in the Adelaide Hills, and wind between world-class wineries in the nearby Barossa and Clare Valley. Visit for international events such as the Santos Tour Down Under. 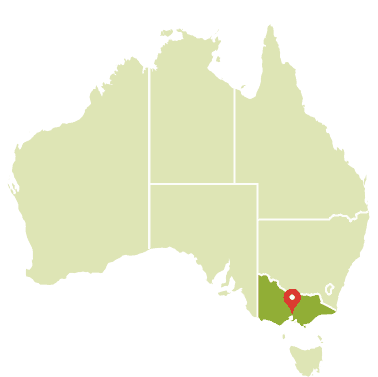 Explore Adelaide’s wide boulevards and expansive parklands. Catch the tram to Glenelg or explore the Adelaide Hills. 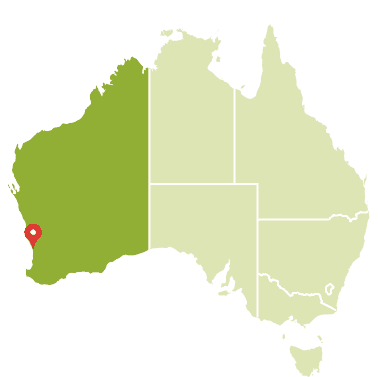 Click here for the best beaches in Adelaide. To start planning your Adelaide beach vacation, << Click Here >> for our Adelaide Australia Vacations guide. Cruise the Swan River past parks and skyscrapers to 40 vineyards in the Swan Valley or the Perth Zoo. Embrace Perth’s relaxed magic with a sunset drink on Cottlesloe Beach, a cruise down the Swan River or live music in inner-city enclaves. Walk Kings Park and visit historic Fremantle. Swim, bike and catch rock lobster along Rottnest Island’s secluded bays. 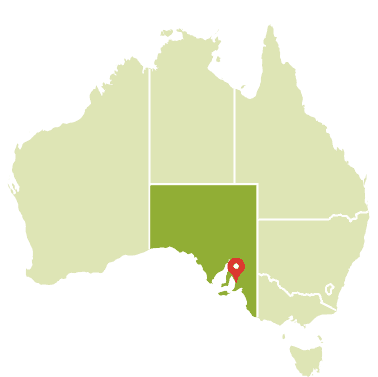 Combine Perth with a journey to the Pinnacles, Monkey Mia or the beaches and goldfields of the state’s south-west. Discover Perth’s city precincts, clean uncrowded beaches, parklands and the Swan River. Eat fresh seafood and enjoy the relaxed lifestyle. Click here for the best beaches in Perth. To start planning your Perth beach vacation, << Click Here >> for our Perth Australia Vacations guide. Broome is an exotic pearling town at the western gateway to The Kimberley region of Western Australia, with a history and culture as vibrant as its landscape. Soak up Indian Ocean sunsets and exotic pearling history in Broome, the Kimberley’s western gateway. Ride a camel along Cable Beach, shop for pearls in Chinatown, see dinosaur footprints and bird watch in Roebuck Bay, and catch the ‘moon staircase’ illusion. Drive the Gibb River Road to Kununurra, stay at El Questro and visit the Bungle Bungle Range in Pernululu National Park. Explore the pearling history, ride a camel on Cable Beach, see the Staircase to the moon and explore the outback landscapes. Click here for the best beaches in Broome. 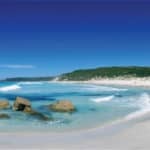 To start planning your Perth beach vacation, << Click Here >> for our Perth Australia Vacations guide. Find all the information you need on Hobart, Tasmania’s historic, waterfront capital. Uncover Hobart’s food, wine, and eclectic creativity at the galleries, bars and restaurants of MONA. Relax, eat and visit the weekend markets at the convict-built harbor and sandstone Salamanca Place. Visit Hobart’s oldest suburb of Battery Point, climb Mount Wellington, and join celebrations for the Taste Tasmania festival and Sydney to Hobart Yacht Race. Hobart offers access to Richmond, Kettering, Bruny Island, Wineglass Bay and Tasmania’s national parks. Wander Salamanca Place and visit the weekend markets, eat seafood in waterside restaurants. Visit eclectic galleries and climb Mount Wellington. Click here for the best beaches in Tasmania To start planning your Tasmania beach vacation, << Click Here >> for our Tasmania Travel Guide. This is such a comprehensive guide. Of all the beaches that you have covered, I have only been to St Kilda near Melbourne, gosh more than 10 years ago. I do still remember how I have enjoyed that place. The beach, the flea market, the restaurants, Luna Park, etc. It was great and relaxing, and I actually wondered how wonderful life could be for those people who stay there. I live close to the beach, so I do know how wonderful it is 🙂 Wow, you are due for a beach vacation for sure! Thanks for visiting the Bests Beaches in Australia! Wow that was an amazing post, such a great details and specific information and of course beautiful photos. Really enjoyed reading this and it really made want to go and visit some of those amazing long deserted beaches. Hopefully one day I can make my way over this side of the world also. This makes me want to get on a plane tomorrow. Those pictures are so inviting. I’ve always wanted to go to Australia and I think you’ve just convinced me to make it our next holiday destination. Thanks for sharing. You are very welcome Jessie. Thanks for visiting! These Australia beaches look fantastic. I have a cousin in Perth and he has mentioned secluded bays in Perth, maybe that’s along the Rottnest islands, I will have to check that out with him. We’ve got an open door to stay with him but haven’t yet found the time to go as you do need 3 weeks minimum flying from the UK. Adelaide looks so clean and inviting, sounds like there’s a lot to do there too. Yes, I would definitely not miss Adelaide if you are going. The whole area of course is beautiful! Absolutely beautiful! Of all the things I thought I knew about Australia, I had no idea they had such beautiful beaches! Why would this info be hidden? 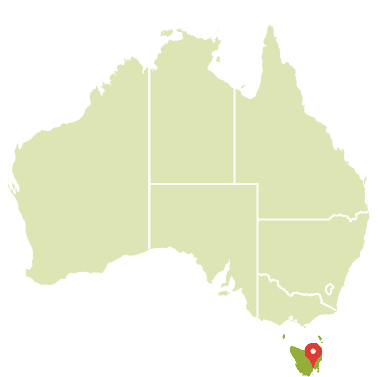 And just gorgeous…I love scenic anything..lol From the photos and info, I’d have to visit Adelaide first!! Nice post. Thank you Audra, Australia is a beautiful place to visit. Especially if you love the beach! Great information The wife and I are always looking to travel to a new beach destination. I never considered looking down under. my first thoughts are the Caribbean followed by Hawaii but learning that there are so many beaches in Australia and some are even deserted I am definitely going to begin looking towards the other side of this huge planet. 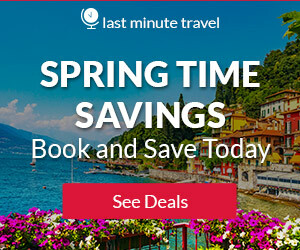 Do you know what the best times of the year to visit would be for each region? Actually Juan if you head to the Gold Coast, which is where I would go for beaches, you can go any time of year. The water is always nice and the beaches will always be great! Wow this post was great. I’ve always wanted to go to Australia and this post really helped solidify my longing to visit there. I had no idea there were so many great beaches to experience in the country. I guess what we typically hear about in America is the Outback and things like that. Very interesting read! Thank you Alec, and yes I believe Australia has more beaches than anywhere! Not all are top rated of course, but good weather, sunshine and clear blue warm water…what could be better right? Great article. I love the beach. They look beautiful in Australia. Which ones would you recommend for surfing. I would love to go surf there. Does the average temp. vary much from place to place and time of year? Just wondering when would be the best time to go. Thank you. Ok, here are a few to consider: Margaret River known internationally as one of the best big-wave surfing locations on Earth for consistently spectacular breaks, there are over 40 top spots along Margaret River’s coast, with conditions ranging from powerful reef breaks to fun beach surf. The southern points at Snapper Rocks, Kirra, Rainbow Bay Beach and Duranbah are generally considered the best spots for surfing on the Gold Coast. The Superbank’s break is at the very top of “must do” surf experiences for serious surfers. The Gold Coast is going to have the warmest waters year round, and there really isn’t a bad time to go. Year round fun! I have been to Australia a couple of times and loved the lifestyle there. Did the Swan river cruise and saw a few dolphins, and the houses along the river are amazing. Would like to visit Sydney some day and will definitely check out the beaches there. Thanks for the great information. You are very welcome Axton. Sydney is an amazing place to visit! It does Darlene. I appreciate the comments and will look at the ad at the bottom to see what is going on. Thank you again! Always wanted to visit Australia. Thank you so much for making a review on the good spots! I will definitely be referring back to your guide when I go there! I think my friends and family that will be going with me will greatly appreciate this article as well. Thank you! You are very welcome Wing! In all honesty it has been a dream of mine for going on 15+ years now to one day visit your beautiful country/continent of Australia. I trace my desire to the fact that I’ve been a life-long tennis lover and every single January I have often gotten up in the middle of the night to watch the Australian Open, one of the 4 majors on the circuit. In the east coast of the U.S. (New York City’s time zone) there is a 16 hour time zone difference from Melbourne, Australia. Thus when it’s 7:30 at night there, it will be 16 hours earlier or 3:30 in the morning where I live. Speaking of which I did note that you discussed the famous beaches in Melbourne. Although when I hit the link hoping to be re-directed to more info, it did not work not being found on that page. The link to the Sydney, Adelaide, Perth and Brisbane beaches did work. they have a famous river that winds its way through Melbourne. I remember one year, (years ago) when Boris Becker won the Aussie Open singles’ crown he and his coach took a swim in the river. I know that in watching the Aussie Open so often in past years that, with it being your summer in January that quite often it has gotten quite hot that time of year. I assume then in summer that the water temps on the beaches would be warm as well? Great article Leahrae and I have my fingers crossed that one day I’ll make it to Australia! Thank you Jeff for your thoughtful comment and I will fix the Melbourne link! I hope you can make it to Australia one day! I’ve always told myself that if I ever moved out of the states, Australia is where I would go. I’ve always been fascinated by the life in Sydney, and especially the outback wilderness of Australia. I’ve never really heard much about their beaches, mainly Costa Rica and the Bahamas. Out of these locations, which one do you think would be the most cost efficient?